Once you own a Russian Spaniel, the breed owns your heart! 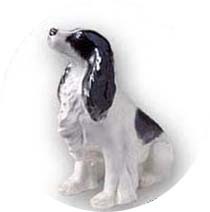 The Mission of the non-profit Russian Spaniel Club is to unite Russian Spaniel owners across the United States and Canada, promote the breed, establish and keep track of the breeding stock on the North American continent, control and document all breeding activity, maintain Russian Spaniel registry, and award RSC official pedigrees to planned or imported Russian Spaniel puppies. Adult fully trained female is available for sale to a hunting home only. Please email us if interested.